Each year the Conference venue rotates between the Northern and Southern hemispheres, which provides the delegates with the opportunity to re-look at their travel and prepare them for the next conference. 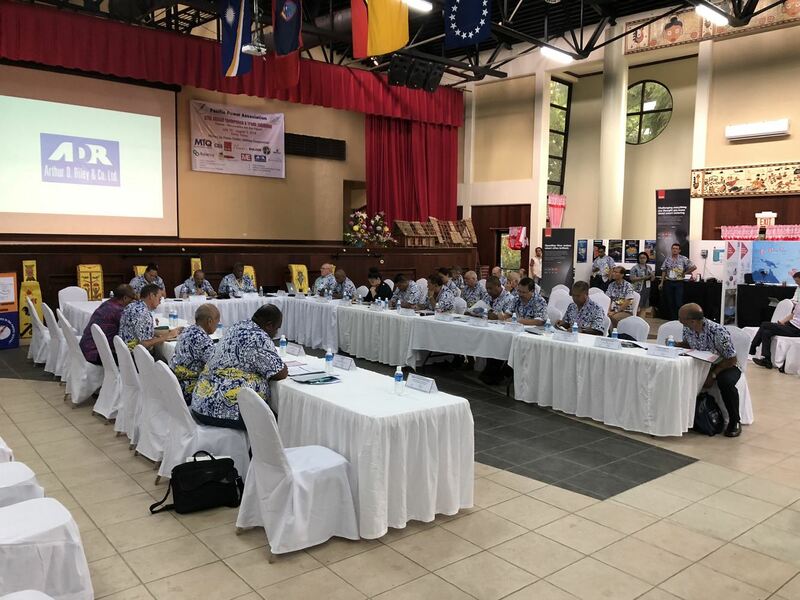 This year’s conference will be conducted in Rarotonga from 1-5 July, 2019. It will be the third time TAU will host the Annual Conference. The venue for this year’s conference is the National Auditorium. This year’s Conference theme, as agreed by the utility CEOs at the 2018 Annual General Meeting, will be “Sustainable, Reliable and Affordable Renewable Energy”. The program for the week will be another success if delegates contribute positively to the Call for Papers and provide suitable topics for the conference in line with the conference theme. The contents of your contributions will ensure our conference is timely, relevant and stimulating. Application for registration must be made online on the PPA Website. Payment of fees is to be made in US Dollars payable to: Pacific Power Association. See registration form for options of payment methods. To qualify for Early Registration, a completed registration form and payment should be received before Friday 26 April, 2019. The Registration fee for Accompanying Spouse is US$160.00. Accompanying children 12 years or older is US$60.00. Notification less than two (2) weeks from Conference date in cancellation of registration will result in 50% deduction of payment. Delegates will be able to Register and collect all conference kits and papers on Sunday 30th June 2019 at the Conference Venue from 2:00 – 5:00 pm. Individuals are responsible for making their own reservations. Details for accommodation are provided in the respective hotels page. Reservations will not be confirmed without credit card guarantee or deposit. Accommodation for all delegates is available at the Edgewater Resort and Spa. All accommodation reservations are to be reserved as soon as your participation is confirmed.